Welcome to Tamriel Rebuilt ! Welcome to Tamriel Rebuilt, a project that aims to complete development of The Elder Scrolls III: Morrowind by reconstructing the world to include the province’s mainland, through the study of creation of lore, and preservation of the game’s creative vision and direction. Our team is full of artists, modders, and writers passionate about the lore and mythos of the Elder Scrolls games, and has worked hard to build on the foundation Bethesda Softworks laid, and to remain true to their vision. To date, over half of the mainland has been created, with more on the way. Ongoing coordination with Project Tamriel has assisted both mods, with pooled resources, lore, and assets. Though the project is over sixteen years old, work continues with new modders joining periodically. Our completed and in-progress work is available for the public to play and enjoy. Tamriel Rebuilt - Available for Free! 25 years ago Bethesda Game Studios released The Elder Scrolls I: Arena and began a journey into a fantastical and exciting world. 19 years ago, Tamriel Rebuilt began development just before TES III: Morrowind was released. 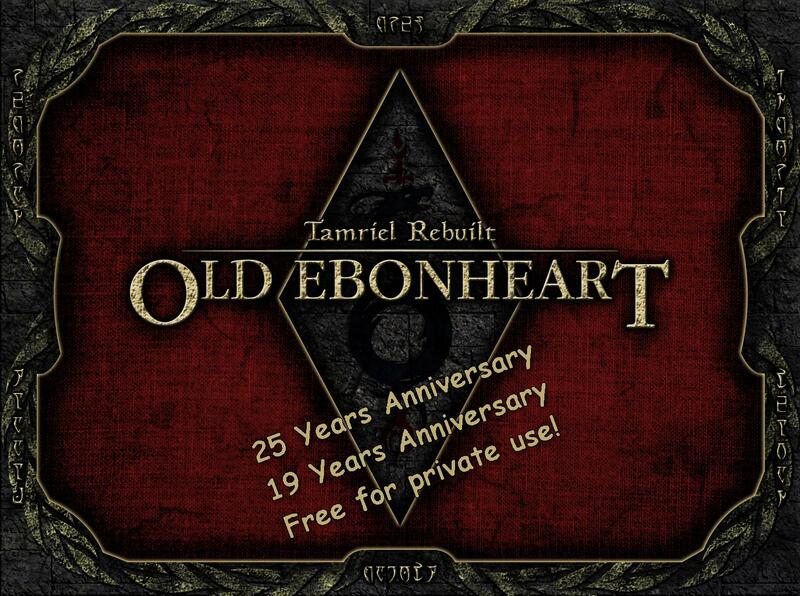 To celebrate these dual anniversaries, we at Tamriel Rebuilt Fan Studios have decided to follow in Bethesda‘s footsteps and release our premium product Tamriel Rebuilt VI: Old Ebonheart for free! We are excited to offer you hours of excitement in the premium province mod for The Elder Scrolls III: Morrowind. The mod you have all been waiting for, is now available for free! Richard "Dynamo" Stallman would be spinning in his grave if he was dead, because with "free" of course we mean "gratis"! But this is not enough for us! Of course, we also offer Tamriel Data for free! Elder Scrolls Online Tamriel Rebuilt addon – Doesn‘t matter if you are a fan of Tamriel Rebuilt or Elder Scrolls Online, this quest and dialogue replacement plugin makes both canons compatible. Novelty Mug Series – New in our novelty mug series, the „Dragons ate my homework“ mug makes your coffee (or tea, we don‘t judge) twice as good. Beware: the mug might be insubstantial if you follow main game canon! "Everything Is Terrible" Poster – This exciting new poster adds exciting excitement to your walls. Please buy a lot of them, we’ve printed ten times as many as we wanted to. Project Tamriel Points – All PT points are half off. As we are Tamriel Rebuilt and not Project Tamriel, this does not apply to you. Sorry! Read more about Tamriel Rebuilt - Available for Free! It is that time of the year again: spring is here and we are slowly gearing up for a content release. As one of the big lessons we've learned last year is "don't overestimate yourself", this time we are more cautious and vague. Amidst the cleanup period of TR1807, general real life preoccupation, and a desire to avoid a repeat of last year's burnout, we are hoping for a summer or autumn release. What's going to be in it? 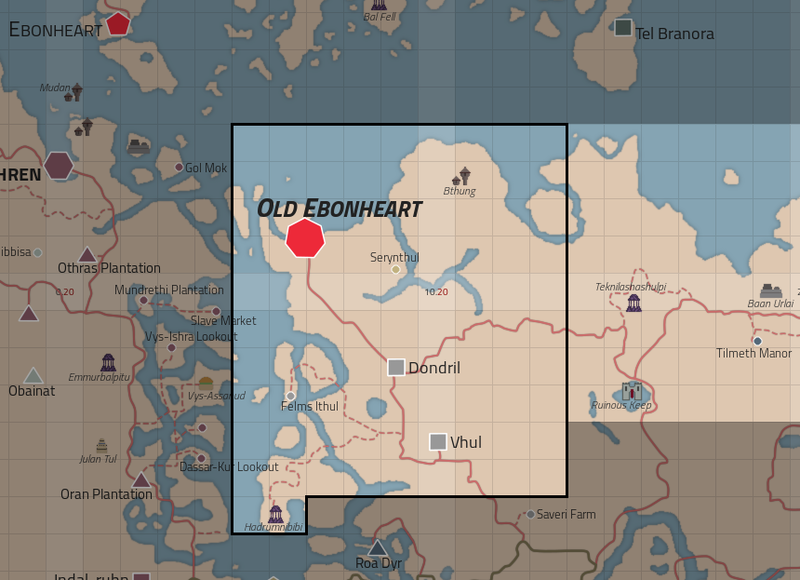 Well, it's going to be different: TR1807 "Old Ebonheart" was a highly dense release, low on landmass but with an abundance of quests, as Old Ebonheart is a unique location, second in importance only to Almalexia. "Aanthirin" on the other hand will have a lot more locations to visit, more dungeons to delve, but overall fewer quests. "Aanthirin" will round out the actual Aanthirin section and move the borders of TR_Mainland decisively on the west bank, into Hlaalu lands. The east and south are also fairly well represented. Dotted with small settlements, plantations, and lookouts, the western bank is more developed than the Indoril eastern bank. We are happy to announce the 18.09 release! This comes neatly on the anniversary of Tamriel_Data, which contains the shared assets of Tamriel Rebuilt, Skyrim Home of the Nords, and Province: Cyrodiil. The 18.09 is mainly a release of bug fixes. Included are various fixes to the bugs in the last release's quests as well as a facelift to a particular Morag Tong hideout that threatened all of Tamriel Rebuilt with its existence (okay, not really). We thank you, the Morrowind community, for you continued support and for reporting the bugs you've encountered. Keep 'em coming. Our next planned release focuses on adding more quests to specific areas in Telvannis as well as starting work on the Thirr River Valley. The Thirr is projected to contain quests for Hlaalu, the Temple, and various shenanigan-happy NPCs in need of a player to save them from, well, their shenanigans. Important! Tamriel Rebuilt requires Tamriel_Data v06.1 or later! Also, if you want to play this new release using an old save, make sure to update your save file with Wrye Mash for things to go smoothly. Read more about What's Up with the Hlaalu-Dres Alliance? As spring nears its end, it's painfully obvious that Tamriel Rebuilt's Spring Release has slipped once again and will not release in spring after all. A lesson has been learned: Tamriel Rebuilt works badly with deadlines. While the March (then Spring) deadline allowed focused development, meeting the deadline itself proved to be unachievable time and again. There is good news, however: the next version will be released and it will be released very soon, within a few weeks. 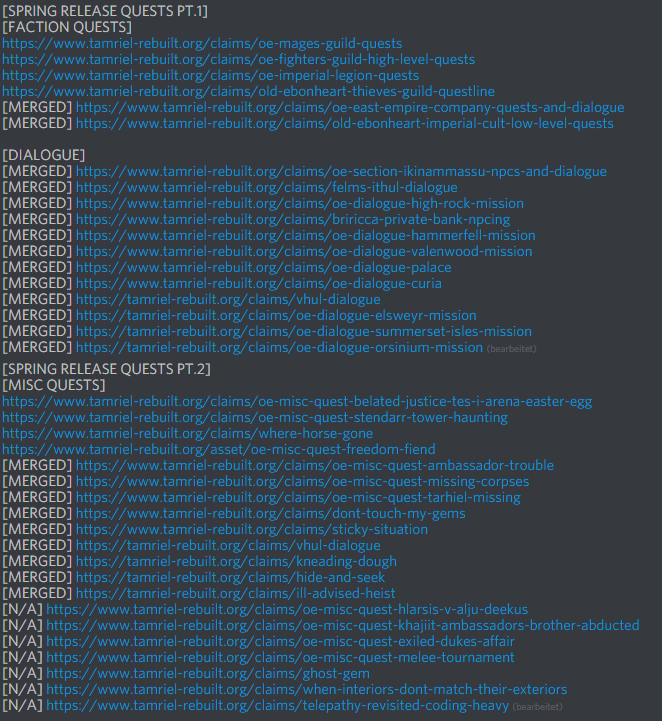 The problem with the Spring Release continues to be quests: they have been submitted, tested, edited, and then tested again. However, as Old Ebonheart is a political hub with all of the Imperial factions represented, this created a unique problem of many, interlacing quests over a relatively small spread of characters. Some, like the Burgrave of the Ebon Tower, are used in half a dozen quests, leading to even more development and testing time. What's more: with the coming of spring came exams, graduations, and family- and work-related issues. With focused development during their "free" time, this work has burned several people out. In the end, driving ourselves into an early grave is not something that we are very keen on, so Tamriel Rebuilt had to linger in development just a little bit longer. Virtually everything else has already been finished to a satisfying degree. With merely a few more weeks of testing and development time, the unmerged quests and questlines will have been tested and processed and Tamriel Rebuilt's quest count will increase by no less than a quarter. A bitter lesson was relearned, but however long this will end up taking, it will be way worse in Almalexia. Alongside our Facebook and Twitter pages - as well as our Tumbr blog - you can chat with us on Discord and IRC channels. We are regularly editing our Handbook - as well as the UESP Wiki - to give you everything you need to know about the project. You can watch our videos and streams on Youtube and Twitch or check out art and screenshots in the Media Gallery or on DeviantArt and Instagram.